LollyTalk’s customized lollies as Wedding favours for a Scottish man and his beautiful wife! We also provide lolly personalization for corporate events, seminars, road show and various functions… as well as special occasions such as baby showers and birthdays!!! LollyTalk also offers a wide range of readily made lollies with gifting messages you can just buy off the shelf or creatively mix into your personalized lolly to create a mixture with interesting colour combination and a feast with different flavours…. You have to really experience a LollyTalk’s handmade lolly to know why so many people have chosen LollyTalk as their wedding favours over other choices. Posted in Customized Candy + readily madeTagged customised favours, favors, handmade candy, lolly, LollyTalk, rock candy, wedding, wedding candy, wedding favors, wedding lolliesBookmark the permalink. 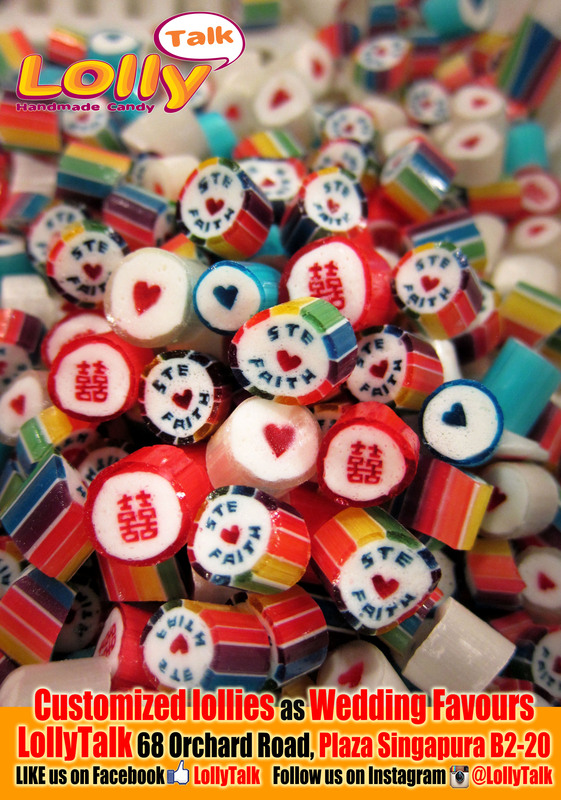 Wedding Candy for a Malay Couple… by LollyTalk.